Q. What location are the Total Control courses held at? A. All courses are held at the The Sports Village, 2600 Rutherford Rd, Vaughan ON L4K 5R1. Or at Classy Chassis, 1399 8th Line, Lakefield, ON K0L 2H0. Q. Do I need a motorcycle license to take the Total Control classes? A. Yes. This class is for riders that already have a current drivers license with a motorcycle endorsement. 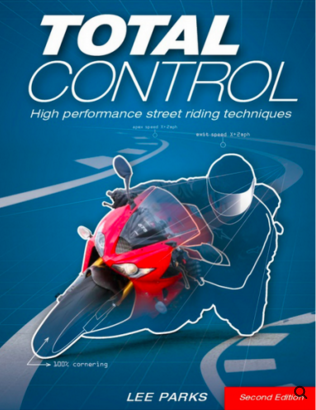 Total Control classes do not teach beginning riders how to operate or ride a motorcycle. Total Control is not associated in any way with the Motorcycle Safety Foundation. The course does not prepare students for taking any driving tests for the purposes of obtaining a motorcycle license, nor does it provide a waiver from taking any state motorcycle riding tests. Q. Do I have to bring my own motorcycle to the class? A. Yes. Students must provide their own motorcycles for the class. Motorcycles used for the range exercises must be street-legal and have current registration. In addition, students must have a motorcycle insurance policy in force. Students must provide insurance policy and license (tag) numbers at the start of the class. Q. What kind of motorcycle do I need for the class? A. Virtually any street legal motorcycle can do the class. We have taught students on a wide variety of bikes ranging in size from 250cc to 2,000ccs or more. Q. I ride a sportbike, what am I going to get out of riding in a parking lot? Q. Is Total Control a race or a racing school? A. No. The class is targeted for street riders of all types of motorcycles. Only one motorcycle is allowed on the range at the same time, there is no timekeeping, and it is not a competition. However, if you are interested in competition, this is an ideal course to prepare you for participating in a track day. Q. I ride a heavy cruiser, Gold Wing or full touring rig with floor boards. What can I get out of the class? A. The opportunity to expand your limits. Many touring riders fear dragging hard parts or do drag parts in higher speed turns. Our curriculum will show you how to use body position to avoid, or minimize touching down when going through a turn. This will allow you to either travel faster through a given radius turn, or more importantly allow you to turn tighter in an emergency situation. Q. I’ve only been riding a short time. Can I take the Total Control, Level I class? A. Total Control, Level I class is for experienced riders.Our minimum requirement is 3,000 miles of street riding experience. You must be comfortable with the basic operation of your motorcycle including; up and down shifting, controlling the throttle, braking and turning at normal street riding speeds. Q. What type of riding gear do I need to take a Total Control class? Q. 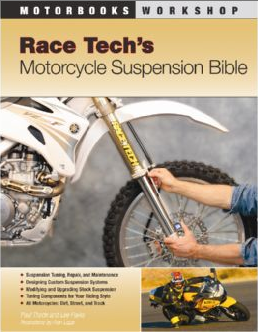 Do I need to do anything to my motorcycle prior to taking a Total Control class? Your tires should have sufficient tread (at least 3mm). Air pressure will be checked before the class starts. Your bike should not overheat while stopped with the motor running on a hot day. On liquid cooled bikes, check the coolant level. Your charging system must function properly, and a relatively new battery is highly recommended because you will be starting the bike frequently. Make sure your brakes are in good working order. No motorcycles with leaking fluids will be allowed on the range. This includes: engine oil, transmission fluid, gasoline, engine coolant, brake fluid or anything else that may leak from a motorcycle. Absolutely no race tires or race compound tires are allowed even if they are DOT approved. These tires will not get hot enough to maintain traction during the class. Q. My motorcycle has an aftermarket exhaust system. Is that a problem? A. Some Total Control locations are sensitive to loud exhaust noise. If you are using the factory installed stock exhaust system, exhaust noise will not be an issue. If you have an aftermarket exhaust and you want to know how loud is too loud, call the training site where you want to sign up for more information. Q. How much of the Total Control, Level I class is in the classroom vs. on the range? A. The TCARC is 40% classroom and 60% range exercises. The classroom secessions are spread throughout the day. This gives riders a chance to rest, a necessity when the weather is hot. Q. How is the Total Control, Level I class taught? A. Total Control, Level I consists of six modules. These exercises include; throttle/brake transitions, mental state, corner vision, corner entry and line selection, mid-corner body position & corner exits, corner transitions (figure 8’s) and basic motorcycle suspension. There is a 10-minute break between each module and a 40-60-minute break. Q. What are the Total Control, Level I range exercises like? A. Level I range exercises are practiced on 40-foot circles. Two pairs of 40-foot circles (marked using small rubber traffic cones) accommodate six students each. New skills introduced for each exercise builds on the previous exercise. The first couple of range exercises are deceptively simple and form the basis for the more challenging exercise later in the day. Q. How long is the class and what about lunch? Q. How many students are in a Total Control class? A. Total Control, Level I and II classes can have 6 to 36 students depending on where you take the class. The instructor to student ratio is one instructor for each group of six students. Only one student at one time is allowed on the range and is always supervised by an instructor. A. Total Control classes (both level I and II) will be held in light rain. If several days prior to the class the weather looks questionable the class may be canceled. Individual Total Control training sites will vary in their policies regarding weather related class cancellations, rescheduling or refunds. Please contact the training site where you are taking the class for details. Q. What about Total Control training site liability insurance? A. All of the Total Control locations have liability insurance by the top carrier in the nation for training sites. This insurance coverage is only for liability risks while you are participating in a Total Control class. You must have your own insurance policy for the motorcycle you are riding. Please have the policy number and name of your insurance company with you when you arrive at class. Q. What qualification do the Total Control instructors have? A. All Total Control instructors have received intensive training. In addition to the formal training, instructors are supervised by a certified master instructor until they are comfortable with teaching the class by themselves. Instructors must have at least five years of riding experience. Refresher courses are given on an annual basis. Q. Do Students get a certificate after taking a Total Control class? A. Yes. Each student will be have a certificate with their name on it after taking the class. Q. When are the Total Control classes held? A. It depends on the site and their location. The schedule is located here. Please see the schedule page for specifics. Most Total Control sites hold classes from April through September, but sites in warmer climates may have winter classes as well. Q. Can I bring my spouse/significant other as passenger? We’d like to take the class as a couple. A. Yes, provided you and your passenger have already established comfort and trust. We have taught rider/pillion couples, and all the lessons apply equally to one-up or two-up riding. There may be a charge for the passenger, depending on location. Call the site location for more details. Q. I loved the Total Control, Level I class. Is there a Level II class? A. Yes. Total Control, Level II classes will be offered at some sites (see schedule). As more Total Control instructors become trained to teach Level II, more classes will be available. Total Control Advanced Riding Clinic, Level II starts where the Level 1 class left off. Included are more challenging exercises from the best-selling book Total Control plus some exciting new ones that will allow students to take their riding to a whole new level. Hard braking, trail braking, speed shifting (both up and down), decreasing radius turns, bike setup and more will be featured in this follow-up to the most effective advanced riding curriculum on the market.